Any of the metallic elements from the central block of the periodic table. Any of the metallic elements from the central block of the periodic table. Transition elements include iron, nickel and gold. Transition elements are less reactive than the metals in Groups 1 and 2. Most have a high melting point and form coloured compounds. Compounds of the transition element copper are often a blue-green colour, such as the copper carbonate coating on the Statue of Liberty. Transition elements include iron, nickel and gold. Transition elements are less reactive than the metals in Groups 1 and 2. Most have a high melting point and form coloured compounds. 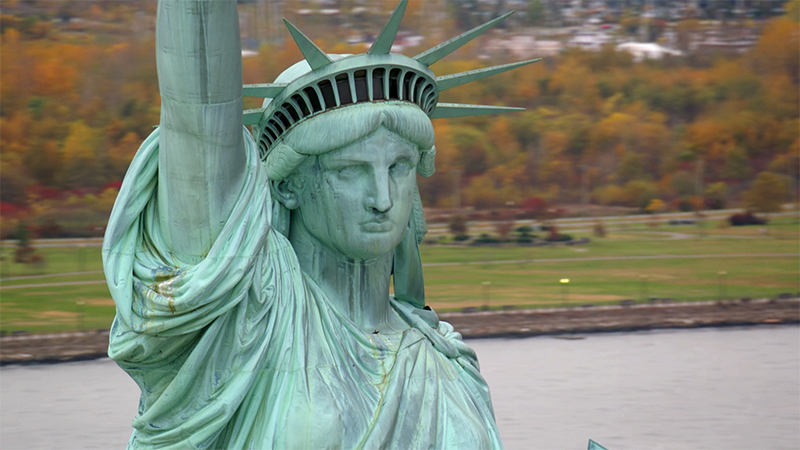 Compounds of the transition element copper are often a blue-green colour, such as the copper carbonate coating on the Statue of Liberty.